Denny’s got nothing on me! 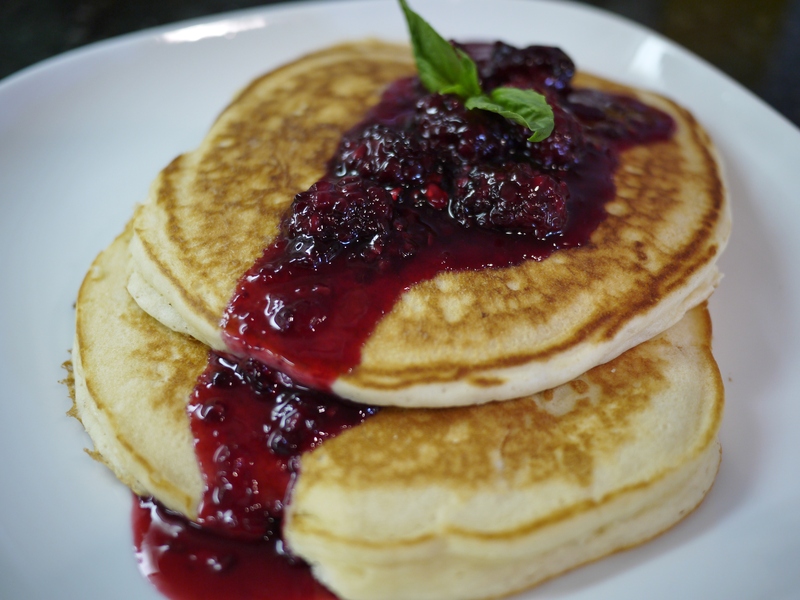 Last weekend, we started off the first weekend of 2014 right with….pancakes!! 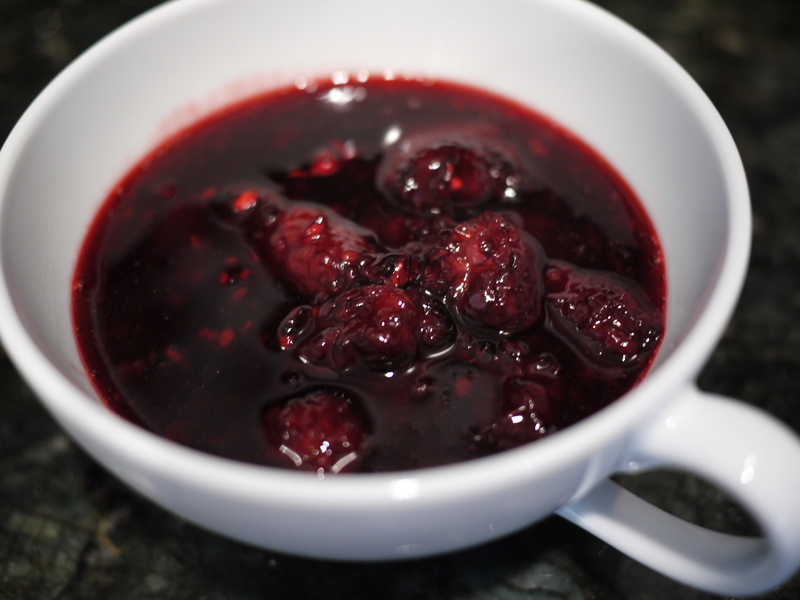 I had two packages of blackberries in the fridge so I decided to make a fresh blackberry sauce to top off the pancakes. It was so easy to make and deliciously sweet even though there wasn’t that much sugar in the sauce. Once the sauce cools, drizzle generously over your pancakes. Yum!